Elegance is exuded with this dazzling diamond ring, as part of the Vera Wang LOVE collection. Crafted from luxurious 18ct white gold, a brilliant solitaire diamond sits within a 4-claw setting, with sophisticated shoulders set to shine with further stones, and a centre row of opulent sapphires. An additional sapphire is presented below the centrepiece in the gallery. 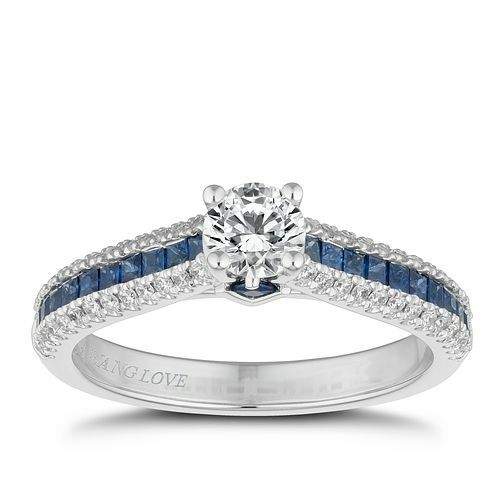 A truly magnificent ring to signify your love. The total diamond weight of this ring is 0.58ct.